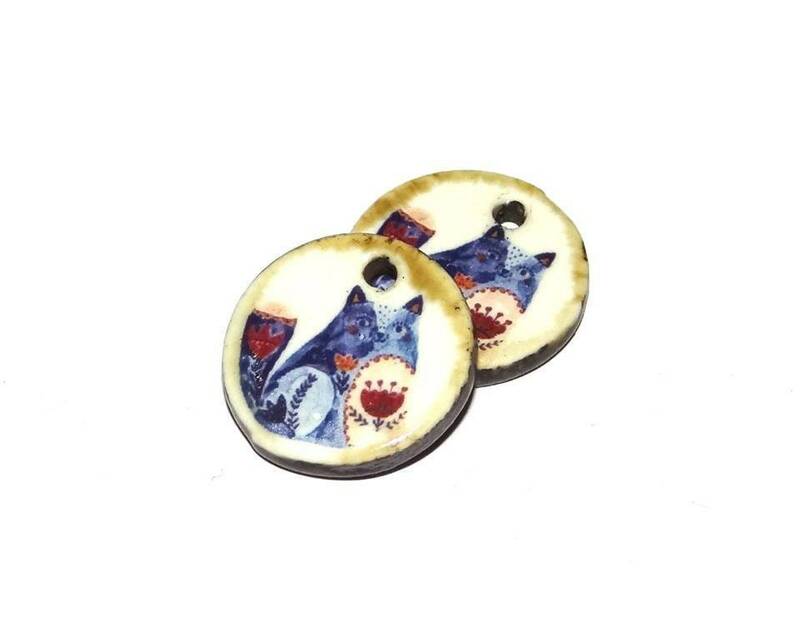 Ceramic earring charms. 20mm. 1.5mm holes. Backs and sides are glazed dark brown.